Hello, everyone! I still remember when I was young (I'm still young, okay! 😉) I always wanted to have shine nails. What I did before was, I used a glue that has the same applicator as nail polish and applies it to my nails. You know how creative and naive you're when you're young and that already make me happy. To have a shine and pretty nails like what I saw from others. And now when I started to grow up, I started to do something that I never tried before which is wear a nail polish. I still remember the first colour that I used was a transparent one. So that people won't know about it. I was scared that my parents would find out about it that's why I only use the transparent one. Back then, people were against wearing nail polish. But I think it is okay now as long as you clean them whenever you want to perform a prayer. 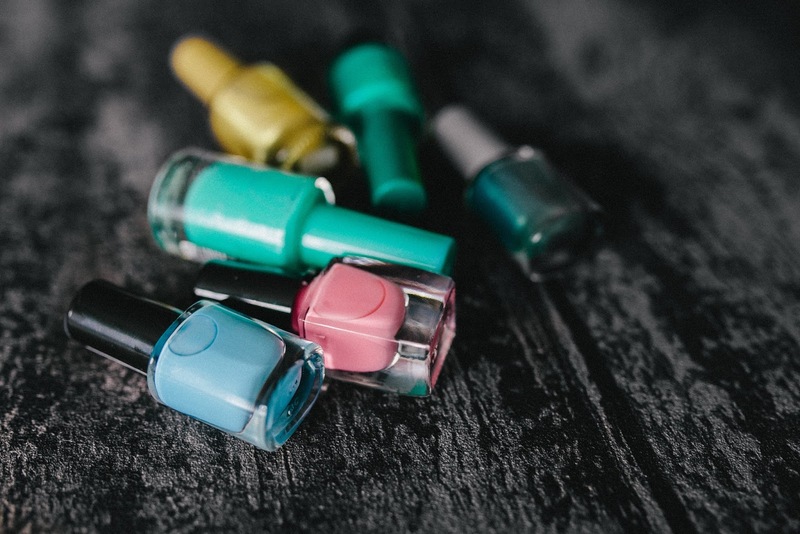 There are a lot of peel-off nail polish out there for you to try. But I can say that I collected only peel-off one and I only have one regular nail polish and it is a transparent one.As for me, I only wear them when it is the time of the month a.k.a period so I don't have to bother about peeling it off when I want to go to perform prayer. From a transparent, I started to try a coloured one. As you can see from the picture, I have collected some of Peel-Off Nail Polish from BK as I found that it is the best peel-off nail polish that I ever tried. And the rest are from other brands like You You, Miss Anny and Magic Girl which is to me it was just so-so. My nails before I put any nail polish. Not cute at all because I have a habit which I put the certain part of my blanket to my nails and sometimes it will cause bleeding too. Haha. Serve you right, Syaza! Sorry for the small images, I don't want you to scroll down much just because of the images. But you can click on the image so that it will appear bigger. I have a transparent, natural and bold one and it is already enough for me. I don't think I will buy more in the future because as you can see I already owned few of it and the fact that I rarely wear them, it is better for me not to buy it again. The price for each nail polish is different since I bought them at different places so it might be cheap and expensive. I can say that the range price is from RM 6 to RM 10 per bottle. If you're interested in trying, you better survey the most cheaper one so that you don't waste your money just like that. This is the most tiring one because I have to apply the nail polish on my nails, takes few pictures, peel it off (remove) then apply another one until it finish. i love all the colors of your nail polish especially the peach one ! so sweet and cool.